Quickly detect the best location, forecast your sales and reduce the risk of your next opening with real and objective data. Where should I locate my next store? When should I open a new one?  How can I grow without affecting other establishments? 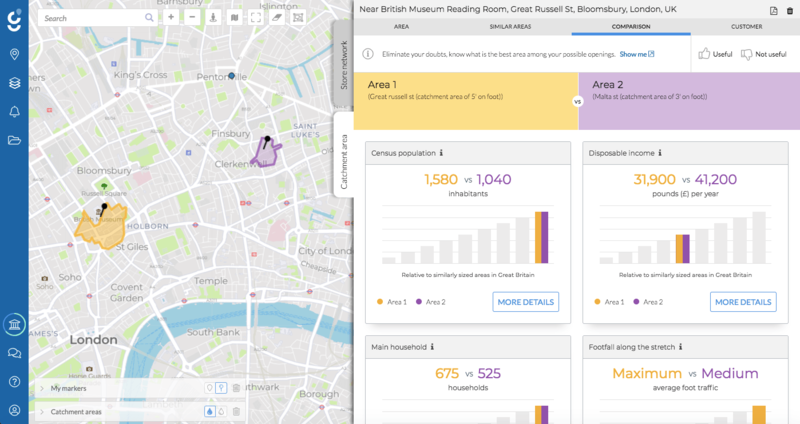 How can I predict the sales of a future location? Where are my main competitors? How can I replicate the establishments that work best? 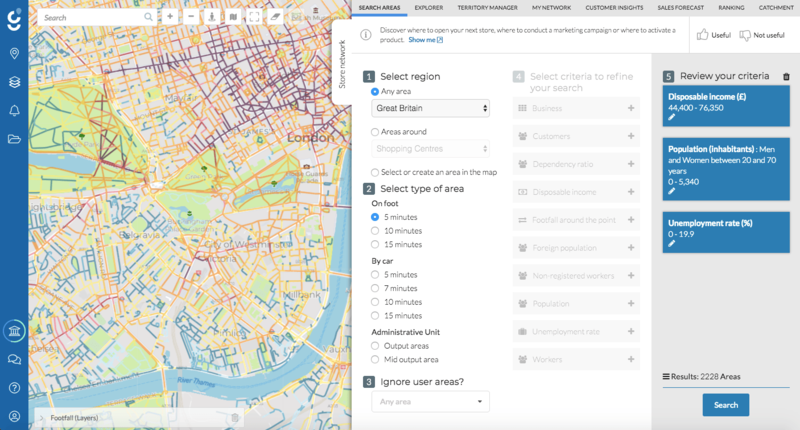 Find out quickly and easily what the best locations for your business are from: data flow of customers, potential A zone, presence of competitors, etc. Understand the success factors of your business and use this information in your expansion process. 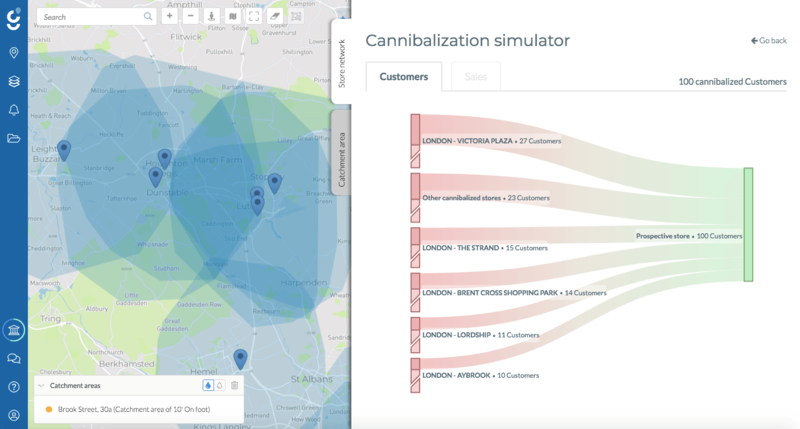 Know the estimation of future local sales thanks to the development of a prediction model, based on the data and external factors of your business. You will be able to evaluate the sales potential of each area in a matter of seconds directly at Geoblink! Stealing customers from your competitors is the goal of every retailer, but what happens if you are stealing them from another one of your establishments? Avoid this situation by estimating how many new customers a new store will generate without interfering with existing stores, before opening. Identify the success factors of your business and find the ideal location, replicating those factors and reducing the risk of a new opening. Where, when and on what my target audience spends money. Know the number of receipts, average receipts, the expense category, as well as age, gender and nationality. Information on competitors, market attractors and detractors, penetration rate and geographical distribution. Include and centralise your business data, such as customers or establishments, and enrich it with data from the surrounding environment. The only thing I do not like about Geoblink is that my competitors and my rivals can get the same tool and I can lose my competitive edge.